Tips and Tricks : How to build your online shop? Home >> Hosting >> Tips and Tricks : How to build your online shop? Hello again fellow lurkers of the online void. Last time we gave a few pointers to our friends who were eager to start their blogging experience. This time we will explore deeper and help all those young entrepreneurs who have something to sell and want to expand their business in the networking world. Let’s face it – no matter how well-known you are for your customers, having only a physical location just won’t do the trick. Understanding the concepts of modern business, many people have already built their online shops to meet a more diversified demand and geolocation of visitors. If you are not amongst them, you better reevaluate your strategy – with more than 80% of the Internet users having shopped on the web at least once, you might be missing out on the long-awaited refreshment of your brand. Normally I would have taken a little time to explain why certain types of websites are fancied by e-users, but I don’t really see the point of doing that for online shops. Reality is that I cannot think of a single business that wouldn’t benefit from its online presence. The trend of shoppers preferring an online retailer goes beyond 65% and with the increasing usage of mobile devices you NEED to keep up if you want to maintain and increase your revenue. So what application to choose for my online shop? I can understand that this might confuse many novice users as there is quite the number of web-building scripts that can do the job. And frankly – most of them work quite fine and cover most basic functions – ZenCart, Magento, osCommerce etc. What I want to focus on today is PrestaShop – the biggest market shareholder at the moment. And its current place is well-earned – with the plentiful free modules and themes, simplified user-experience and solid community, it has surpassed Magento as the King of Commerce and proven to be here to stay. So why PrestaShop? For starters, its a very lightweight script and is not resource-hogging as some of the other shopping carts out there. And this is without holding back any needed functionalities or the appealing visual outlook. I find PrestaShop perfect for beginners! Unlike Magento or osCommerce, for example, you don’t need any coding knowledge or advanced computer skills in order to build, develop and maintain your shop – I had a friend who had NO idea about ANY web-building scripts and he built his first shop with PrestaShop fully up and running for exactly 2 weeks. And that’s including all the time he spent reading tutorials and articles I piled on him. So its literally THAT easy. ShipWire – If you are a retailer who targets customers from all over the world, this solution would help you greatly. Aimed for YOU, regardless of the size of your business, this enterprise logistics platform does what both merchant and client crave – finding the fastest and cheapest route to deliver your goods to the end customer, regardless of the order volume. With their established network of warehouses you needn’t worry about researching shipment channels and tons of little details, heck, you can even send loose items and the packaging would also be handled by ShipWire. EVolution Slider – Although a premium slider module, I fancy this one because of the various dandy transition effects and the in-built themes. You have full control over on which pages it will appear, the duration and photos displayed. Of course, as most PrestaShop resources, geolocation is no boundary, so you can count on an array of accessible languages. Brow.si – With the risk of repeating myself I will emphasize again – mobile browsing is a hot trend and with online shops this is twice as influential. This module is your buddy when it comes to engaging mobile users and solidifying their smooth experience when browsing your store. From the moment someone searches for the shop, through their fluid skimming to their checkout and social sharing – you got it all! SEO Booster – PrestaShop is quite an SEO friendly application, with its in-built options, but when it comes to optimization for search engines you want to go on all-out attack. This premium module will enhance your capabilities for meta fields, operating robots.txt and of course, all the statistics that you would need. So, to cap it all up. You’re a retailer that wishes to conquer new heights by going online and yet you are starting from scratch with minimum knowledge and big dreams? – give PrestaShop a try and enter a wonderful, helpful community of friends and collaborators. From our side, as ardent supporters of this script, WebHostFace will gladly get your project going with a free installation and tons of valuable information in the form of tutorials and video guides. 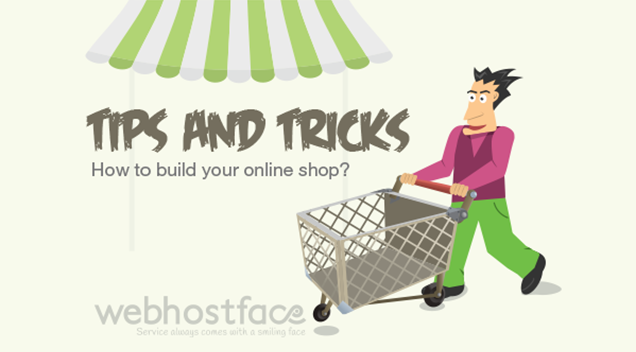 Have you ever build your own internet shop by using this advise?